As of this writing, the first Thursday of 2016 is in its infancy. And already it has been one hell of a week in WWE to kick 2016 off with a bang. First, everyone’s expectations of WrestleMania were curbed when Vince McMahon decided that Roman Reigns would defend his WWE World Heavyweight Championship in the Royal Rumble match up. It’s a throwback and a first; The WWE World Heavyweight Championship has been up for grabs previously in 1992, whereas this is the first time the Championship is being defended in the match. The decision has been met with its share of criticism, as WWE just seemed to have fixed the problem with Reigns in terms of getting over. 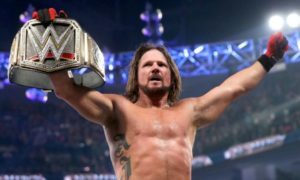 Monday evening, rumors ran wild as news leaked of AJ Styles, Karl Anderson, Doc Gallows, and Shinsuke Nakamura have given their notices to NPJW at WrestleKingdom 10 this past weekend. This created a firestorm, and with WWE and NXT Champion Finn Balor adding fuels to the fire it’s even bigger news. 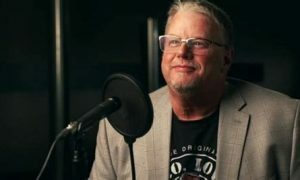 Surely WWE has scored outstanding talent the last year and a half, but with the signings of Nakamura and Styles, this will be perhaps the biggest talent WWE has acquired since they were able to sign Sting. Nakamura and Styles are two of the best talent that pro wrestling has to offer today. As of right now, we have heard no official word, but it looks to be the case that Nakamura and the three members of the super faction The Bullet Club are taking their talents to WWE/NXT. And with the news earlier Wednesday evening of John Cena’s shoulder injury, the hits just keep coming in terms of the injury plagued WWE. Let’s thwart WrestleMania predictions even more, shall we? No doubt Cena is WWE’s franchise player, and with this news it’s a crushing blow to the massive event in Dallas. This will be the first time since Cena debuted in 2002 that he will miss a WrestleMania. I guess the saying in WWE holds true after all. Anything can happen in WWE. And that has rung so true within the last several days. Call me a dreamer, call me hopeful, but maybe some awesome things can happen in spite of what’s happened and what’s going on. For WWE, they are touting this year’s WrestleMania to be the biggest of them all. They say everything is bigger in Texas. WWE can’t afford to gaff WrestleMania in the slightest. But first we got to get to the Royal Rumble. 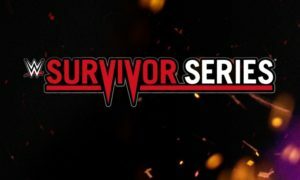 WWE must make it a successful Rumble to start the Road to WrestleMania the best way they can, given the circumstances. With Daniel Bryan out of the picture, I don’t foresee the Rumble teetering to catastrophic heat levels as it was the previous two years. Even if Reigns wins, I expect Triple H to come back somehow and come swinging hard. Say what you want, but when it comes to Triple H, this feud that is brewing between him and Reigns has really been a long time coming, going back to before WrestleMania 30. Matter of fact, Reigns did say that he was coming for Triple H. And it’s time to see it play out. So essentially, Triple H got what was coming to him, and it’s not going to go away lightly. He will seek revenge and it will come as early as January 24th in Orlando. I’m all for Reigns and Triple H being the main event at WrestleMania and I would love to see The Authority go down. Reigns can very well be the one to do it. Game of Thrones, indeed. Also with the Royal Rumble, it will set the stage for WrestleMania in Dallas. Seeds will be planted, and WWE must make sure they are taken care of so it blossoms come April 3rd. 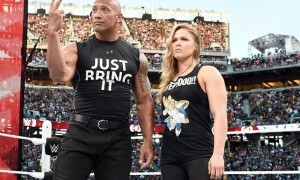 The Rock has already been confirmed for the event, and he is wasting no time in being WWE’s hype man for WrestleMania. Brock Lesnar is returning next week and soon The Undertaker is expected to follow. The Rock’s role at WrestleMania is unknown but we do know that Lesnar and The Undertaker will need opponents to fill their part of the card. Rumor has it that Kevin Owens is the top prospect for Lesnar, whereas the rumor of The Undertaker versus John Cena this year definitely will not happen. That spot is vacant and it’s someone’s for the taking. 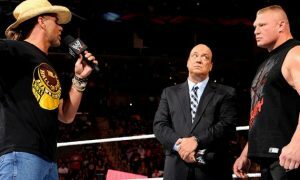 WWE is talking the talk, but can they walk the walk in spite of the roadblocks it faces? It has never been more apparent that WWE has a lot of work ahead of them to make this WrestleMania season one for the books. WWE has the talent to work with, but it’s up to them to let the talent seize that opportunity that stands before them. With the probable additions of Nakamura, Styles, Anderson, and Gallows come spots for NXT should anyone be called up to the main roster anytime soon. All of us know that one thing is for sure: It’s about to get really wild for the WWE Universe, so you better fasten your seatbelts.